TEMPE, AZ – March 6, 2018 – It’s a team that likes to play dirty. Rockford Fosgate (www.rockfordfosgate.com), the industry leader in high-performance audio systems, is proud to announce it has partnered with leading on-line UTV media and promotion giant UTVUnderground. 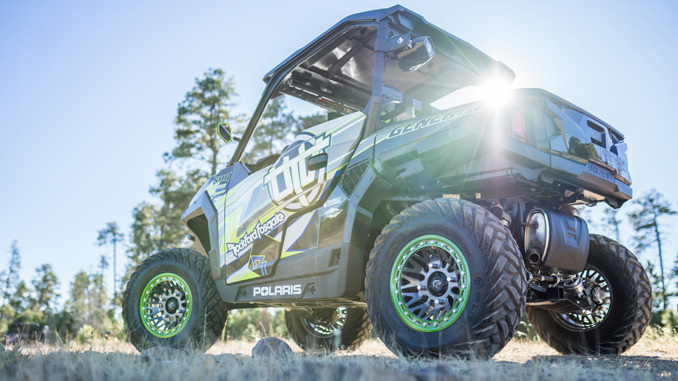 UTVUnderground is the world’s fastest growing all inclusive Unlimited Terrain Vehicle (UTV) site contributed to by both enthusiasts and manufacturers alike. UTVUnderground is the go-to site for fresh, original content and is known for its dedication to creating and hosting all of the latest news and insight surrounding the UTV industry. Thousands of monthly visitors from more than 100 countries around the world go to UTVUnderground.com for their daily dose of UTV news and information. By partnering, Rockford Fosgate gains access to UTVUnderground’s website presence, social media following, onsite activation schedule, and in-house content creation team. Rockford Fosgate provides a full line of multi-stage kits for off-road vehicles, including Polaris, Yamaha, and Can-Am. All kits are designed to provide high performance audio for the back country and twisted trails while out in the elements. Rockford keeps the installation simple by offering incredibly efficient plug-and-play kits designed to fit factory locations perfectly by utilizing precise 3D scanning so there is no loss of storage or cabin space.